Costa Rica, the little country that has both an Atlantic and Pacific coast and is situated between Panama and Nicaragua, suffered throughout the latter twentieth century from political instability. 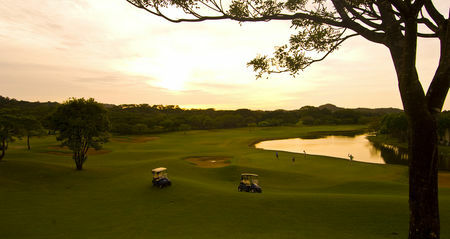 As a result, the tourism industry for a long time failed to develop very much here, and golf was not much played. 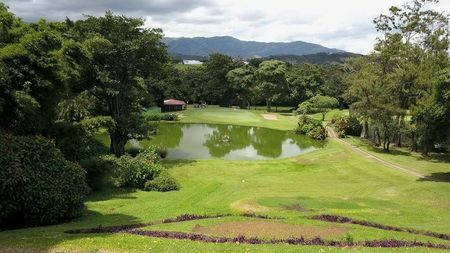 The Costa Rica Country Club, located near the capital of San Jose, did open a 9-hole layout in the mid-Forties, but the country's next course wasn't constructed until the Cariari Country Club opened its full eighteen in the Seventies. 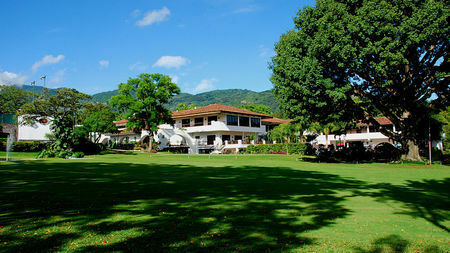 The administration of President Oscar Arias Sanchez brought greater stability to Costa Rica in recent years, however, so tourists from the US are starting to take notice. 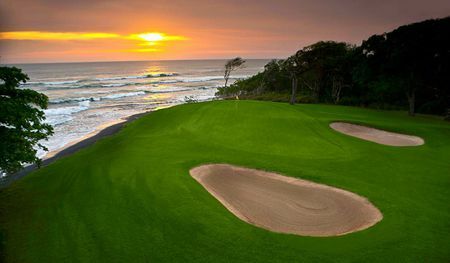 And indeed, by 2000, the country boasted some decent clubs, including Garra de Leon, Hacienda Pinilla, Los Suenos, Royal Pacific, and Valle del Sol. 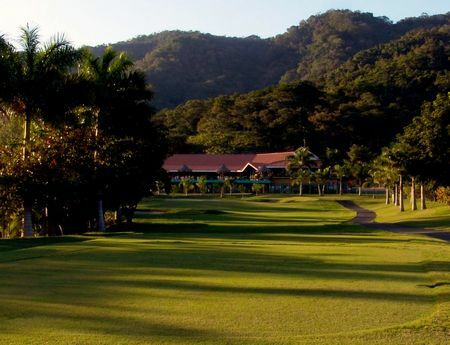 Showing their faith in the future, clubs in Costa Rica have begun engaging some of the top names in design, including Arnold Palmer, Jack Nicklaus and Robert von Hagge, to create some top-notch courses. 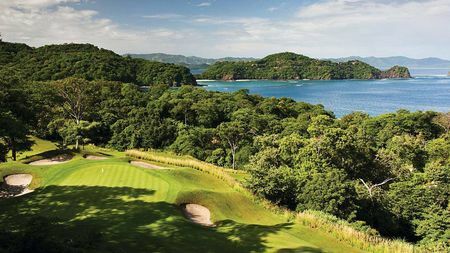 Palmer's at the Four Seasons Peninsula Papagayo is a particularly fine example of what can be done with the stunning tropical surroundings. 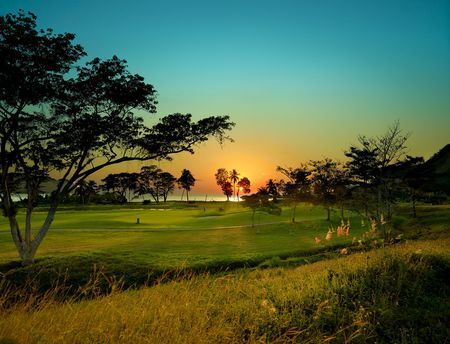 With its mixture of hilly terrain in the west and low-lying land in the east, Costa Rica has an abundance of locations that would be perfect for golf. 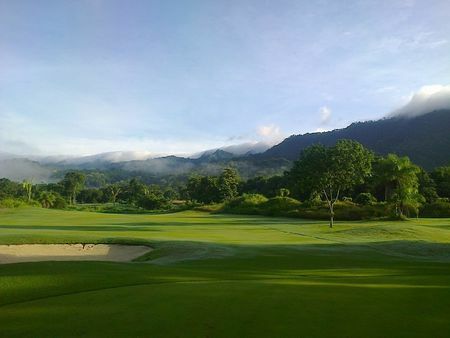 Today, Costa Rica boasts 14 golf courses, and it remains to be seen whether the country can continue down the path of peace and prosperity, but if it does, the land and the climate are sure to make what has been called "Latin America's Switzerland" a golf destination.